Motives aside, their plan required them to cross the Potomac River. In the quiet and calm of the night, the three sisters crept into the water with their makeshift raft and began to carefully paddle across – but their efforts were not without an audience. The local medicine man had taken notice of their departure and followed them to the river’s edge, spying silently from behind the trees. Livid, he watched their slow and certain progress. The sisters smiled proudly at one another in the faint moonlight, halfway across, when suddenly the man conjured a ferocious storm that swelled the river, splintering the raft and hurling the sisters into the water. Lightning flashed in blinding colors around them, confidence melting into panic as their end drew near. Clasping each other’s hands, the sisters made a promise: if they could not cross the river here, then never again would anyone else. And then the river swallowed them whole. By morning, the storm had subsided and unveiled three large rocks on the river’s surface: the Three Sisters Islands. Over the centuries, Washingtonians might have found reason to believe that the site was, indeed, cursed. Between the late 18th century and the early 20th century, there had been several proposals to build a bridge in the vicinity of the Three Sisters Islands. However, none of those projects materialized. Still, that didn’t stop planners from reawakening the idea in the 1950s. In the mid-20th century, the national capital region saw dramatic shifts in how and where people were living. A big reason? Automobiles. According to historian Zachary Schrag: “auto-owning families took advantage of their mobility to move to the suburbs, and suburban families found that they needed cars.” Census records show that the District’s population peaked in 1950, and then started to decline. Meanwhile, the suburbs of Virginia and Maryland exploded. Politics of the coming years would endeavor to puzzle through the unprecedented volume of regional commuters. In 1952, Congress delegated the puzzle over to the newly created National Capital Planning Commission (NCPC) and National Capital Regional Planning Council (NCRPC). They, in turn, launched a joint effort to conduct the Mass Transportation Survey. Presented in 1959, the plan called for a 248-mile highway program, supplemented by metropolitan subway and bus networks. The recommended highways would necessitate a new Potomac River bridge at the Three Sisters Islands. President Eisenhower’s Federal-Aid Highway Act of 1956 demonstrated national support for highways so much so that the Federal government committed to 90 percent of construction costs. Road- and bridge-happy highway planners got right to work. “The heart of their proposed system,” writes Schrag, “was the Inner Loop, a ring road around the core of the city.” Several “legs” would feed in and out of the loop to allow commuters to circumvent congestion. One of these “legs,” was to cross over the Three Sisters Islands. While the Mass Transportation Survey called for both new highways AND a mass transit rail system, debates on their relative proportions continued. During the early 1960s, pro-transit lawmakers and pro-highway lawmakers attempted to push forward plans that favored one mode over the other. Under the Kennedy administration, the National Capital Transportation Agency advocated expanded transit and proposed dropping several of the major highway projects. The various on-again, off-again proposals caused construction to stall, as the proposed freeways faced growing outcry from D.C. residents. Taking up demonstration in a multitude of forms, residents banded together across the District. Perhaps the most famous coalition was the Emergency Committee on the Transportation Crisis (ECTC), led by Sammie Abbott, Reginald Booker, and future mayor Marion Barry. As freeway planners sliced and diced the city on their maps, it became clear that D.C.’s poor, black neighborhoods were most at risk. Decrying the injustice of building “white man’s roads through black men’s homes,” protesters argued that what these neighborhoods needed most was not highways to serve (mostly) suburban white commuters but reliable and accessible public transit. With some white neighborhoods on the chopping block, also, ECTC grew into a biracial effort. As Abbott declared, “There are going to be whites with our black brothers on this,” refusing to neglect inner city well-being. Natcher, however, remained unmoved. Fiercely protective over the nation’s highway-spangled future, he took aim at “these little pressure groups and people downtown that want to destroy the highway program,” such as the ECTC. Declaring it “time to stop this foolishness” in 1966, the Kentuckian threatened to withhold funding for the Metro system unless the road building project and the Three Sisters Bridge moved forward. For highway advocates, the bridge came to symbolize the freeway movement as a whole, as it would connect complex highway systems on either side of the Potomac River. If the bridge was finally built, their thinking went, it would clear the way for the other highway construction. Hence Natcher’s hardline stance: No bridge, no subway. The bridge project was included in the Federal Aid Highway Act of 1968, but opposition continued. The situation came to a head in the summer of 1969 when the matter went before the D.C. City Council. Most members of the council opposed the bridge project. However, Natcher’s ultimatum put them in a tough spot. Voting ‘no’ on the bridge meant potentially sacrificing the Metro system. July’s weary City Council meeting on the subject ended without consensus. Natcher continued to press Three Sisters Bridge construction “‘beyond recall’,” leading one incredulous opponent to remark, “‘Nobody can believe in a city government that bows to blackmail’.” Bow, though, they did. When council members met August 9th for a final vote on the Three Sisters Bridge, they were not alone at the city hall. Surrounding the council and making all possible attempts to disrupt the vote were over 200 highway protesters. ECTC’s Sammie Abbott was the first to be arrested, followed by his chairman Reginald Booker. Some left per police orders, others were arrested and dragged out, but not before chairs were thrown and one protester hurled a small metal ashtray at Council Chairman Gilbert Hahn Jr.
Physically injured in their arrests, Abbott and Booker immediately regrouped with the ECTC and decided to file a fresh lawsuit against the Three Sisters Bridge.Still, as autumn rolled around, so did the bridge construction at long last. The ground breaking was set for mid-October. Matt Andrea, a Georgetown University crew team member, approached Sammie Abbott with an idea. “‘What if students from Georgetown and other campuses occupied the islands?’” he proposed, and Abbott beamed at the suggestion. Together they handed out leaflets on campus like party invitations to a protest. Over the next several weeks, the student protesters went from cheerfully picnicking on the riverbank to wrangling machinery. In groups of over 100, they clashed with police, construction workers, and physically barricaded bulldozers and pipes with their bodies. Riot police waved their batons in the Potomac waters as protests continued into November. A point of confusion during the session concerned the extent to which the Court of Appeals might consider rehearing its bridge-halting decision, which Natcher had proclaimed as “outrageous.” When it was announced that the Court refused any such gesture, the House moved to vote. To the dismay of the tenacious Kentuckian, the debate resulted in victory for the subway, with the final roll call recorded 195 to 174. Was the Three Sisters Bridge now scratched once and for all? Not quite. Because the span was still an essential ingredient to highway planning, District residents kept a vigilant eye on the riverbank as well as the neighborhoods at risk of demolition for road construction. On either side of the Three Sisters Islands, one could see the budding bridge piers. But something big happened in the summer of ’72. It wasn’t a court ruling. It wasn’t a grassroots demonstration. It wasn’t a budgeting blunder. In June, Hurricane Agnes boldly stormed her way up the East Coast. With a mischief not unfamiliar to the Potomac River, she paid an unruly visit to the Three Sisters Islands. The water rose and surged with torrential rain from every direction, swelling the river and swallowing the riverbanks whole. When the storm subsided, something was different. The islands had not flinched, but their younger neighbors – the bridge piers – were nowhere to be seen. Since then, Washingtonians have cautiously wondered that perhaps those three sisters from that Native American legend had been serious. Maybe their spirits really were possessed in the islands and maybe they still meant what they said: If we cannot cross the river here, then never again will anyone else. The Three Sisters Bridge was officially erased from regional highway plans in 1977, and today the islands welcome friendly kayakers and canoe paddlers on the glistening Potomac waters. 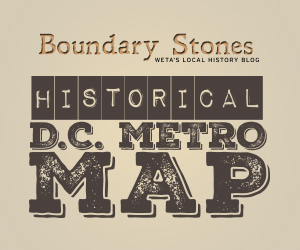 ^ Potomac River enthusiasts George Washington and Pierre Charles L’Enfant had set out to plan a federal city in the 1790s (Berg, Scott W. Grand Avenues: The Story of the French Visionary. Pantheon Books, NY. 2007). Singing praises of the magnificent waterway, L’Enfant jotted down notes for a bridge over the Three Sisters Islands to connect Georgetown’s burgeoning ports with the Virginia shore (Williams, Mathilde D. "The Three Sisters Bridge: A Ghost Span over the Potomac." Records of the Columbia Historical Society, Washington, D.C. 69/70 (1969): 489-509. www.jstor.org/stable/40067725.). Solicitation for such a span, however, was not assembled until the 1850s, due to abysmal conditions of cross-Potomac transit (Ellet, Charles, 1810-1862. Report On a Suspension Bridge Across the Potomac, for Rail Road And Common Travel: Addressed to the Mayor And City Council of Georgetown, D.C. Philadelphia: J. C. Clark, printer, 1852). Bridge expert Charles Ellet authored a report for a wire suspension bridge that would restore access to regional trade and travel (Ellet). Despite fitful but enthusiastic headway for a Three Sisters Bridge, the sobering turmoil of the Civil War wiped out any such prospect (Williams). ^ Grymes, Charles A. "Population Growth." virginiaplaces.org. Last modified 2018. http://www.virginiaplaces.org/population/popgrowth.html In Northern Virginia, Arlington’s population had more than doubled during the 40s, from 57,040 to over 135,000, and the county added another 28,000 residents by 1960. Fairfax nearly tripled between 1950 and 1960, from 98,557 to 275,002. ^ Weingroff, Richard F. "Federal-Aid Highway Act of 1956: Creating The Interstate System." Federal Highway Administration. Last modified Summer 1996. https://www.fhwa.dot.gov/publications/publicroads/96summer/p96su10.cfm. ^ Clopton, Willard. "Controversial Road Projects To Be Delayed: NCTA Plan Studied NCTA Tactics Protested Key District Road Jobs Are Delayed." The Washington Post, January 19, 1963, C1. ^ Clopton, Willard. "Rail Transit Plan Sent To Congress: President Asks Prompt, Favorable Action on Project." The Washington Post, May 28, 1963, A1. ^ White Jr., Jack. "Freeway Foes Present Case to Council." The Washington Post, November 26, 1967, D1. ^ Asher, Robert L. "Halt to Subway Money Is Threatened If D.C. Freeway Foes Continue Attack." The Washington Post, August 9, 1966, A1. ^ The Washington Post. "Symbolism and the Subway." September 10, 1963, A18. ^ Eisen, Jack, and Irna Moore. "Bridge Vote Tied To Metro Funds: Metro Fate Tied to Bridge." The Washington Post, July 23, 1969, C1. ^ Eisen, Jack, and Irna Moore. "Fists Fly At Voting On Roads: Bridge Foes Erupt as City Bows to Hill." The Washington Post, August 10, 1969, A1. ^ Kijuchi, Kunio. "Letters to the Editor: Transportation Impasse." The Washington Post, August 1, 1969, A18. ^ Colen, B. D. "Nearly 100 Bridge Foes 'Occupy' Three Sisters Islands: Students Lead Protesters Awaiting Start of Construction Today." The Washington Post, October 13, 1969, D1. ^ Eisen, Jack. "House Releases District Subway Funds: Leadership Rebuffed, 195 to 174." The Washington Post, December 3, 1971, A1. January 13, 1982 was one of the most tragic days in Washington history with two separate deadly transportation accidents happening 30 minutes apart.